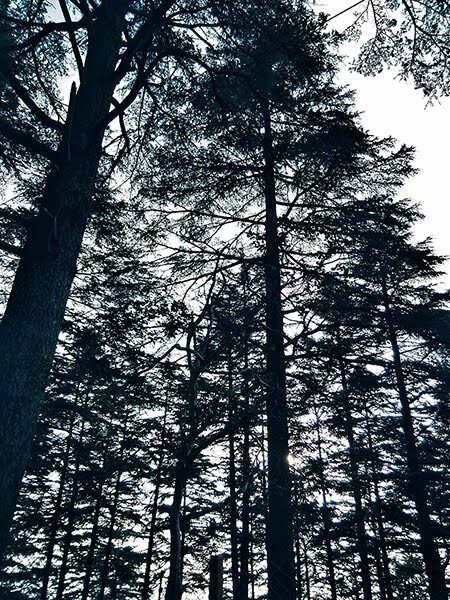 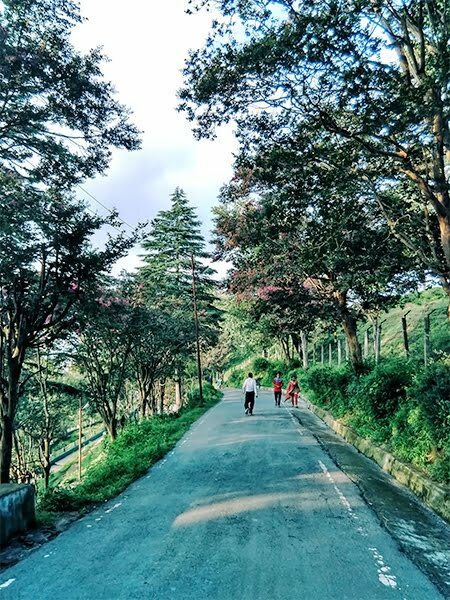 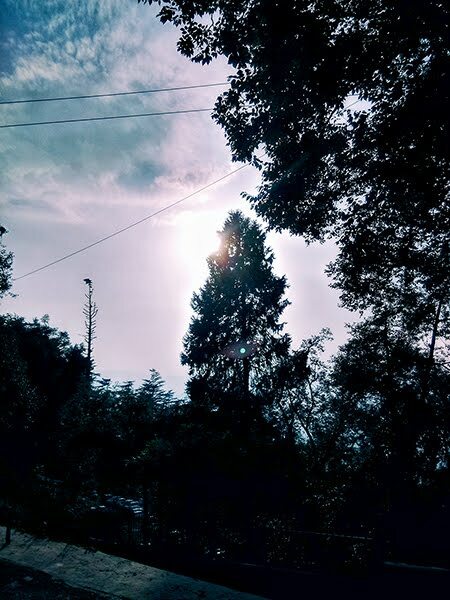 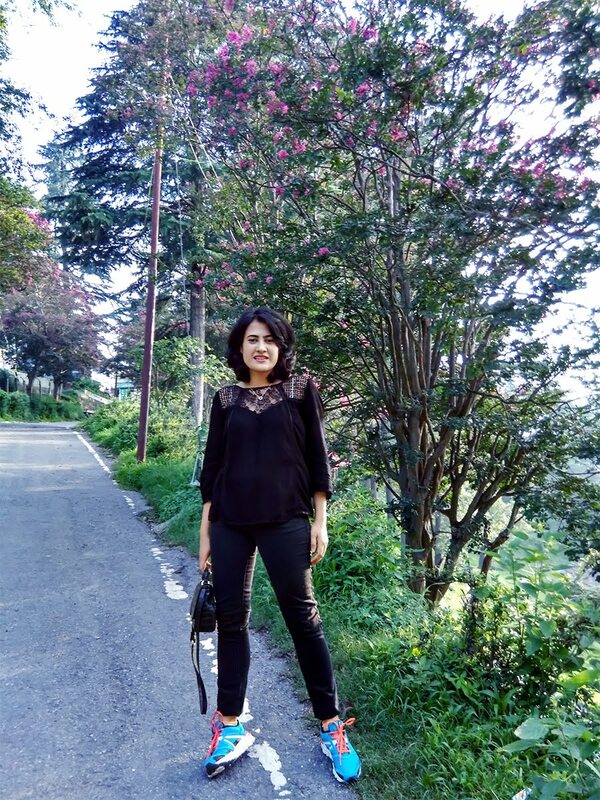 I am still dreaming about my trip to the north of India, so I wanted to share another look at another beautiful town.Welcome to Almora !It is one of the beautiful mountain towns I had ever been too.It was surrounded by beautiful pine trees and had the best chocolate sweets to offer. 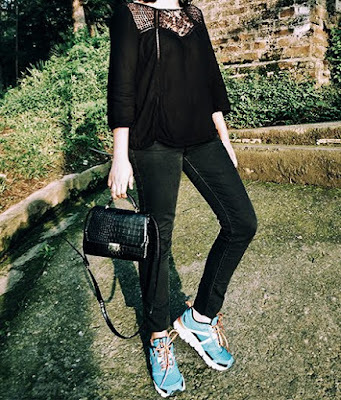 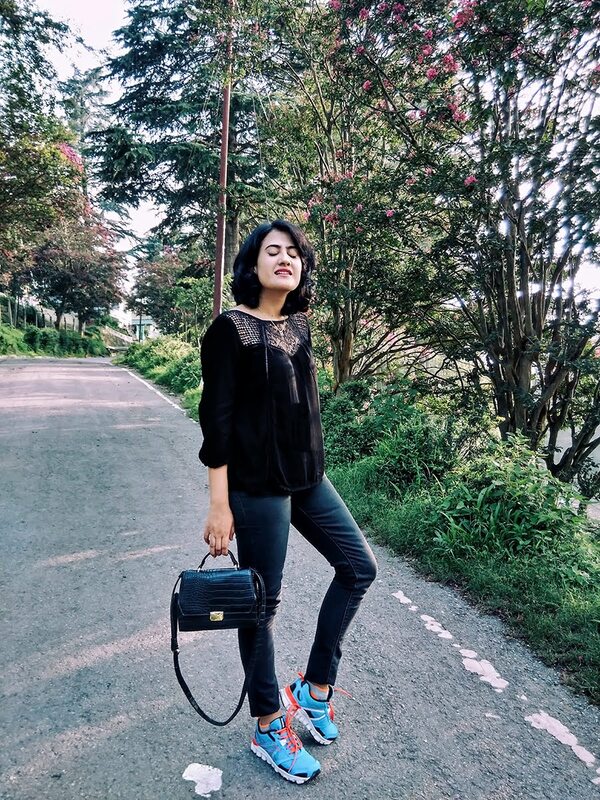 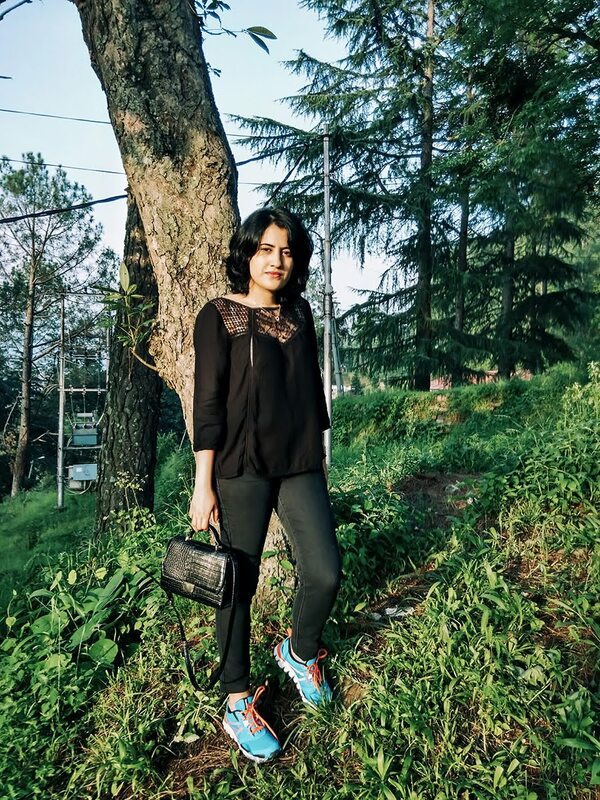 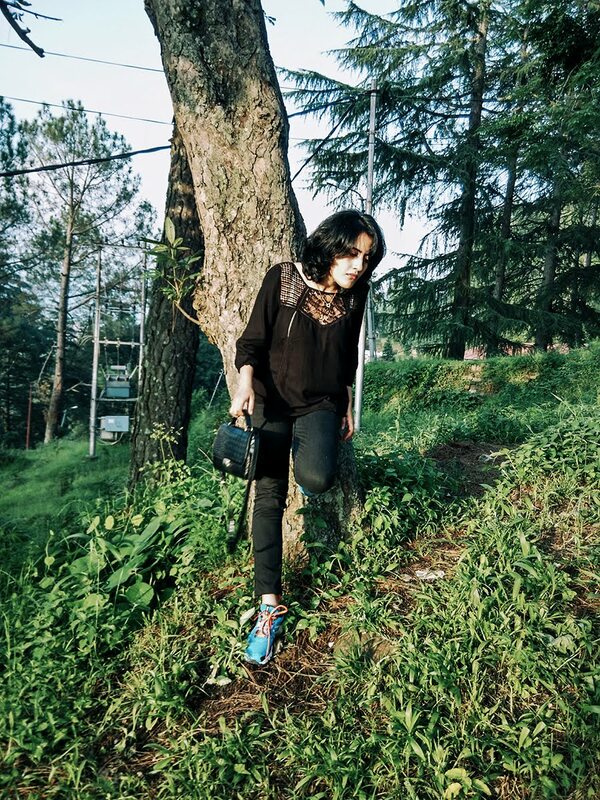 We were blessed with lovely weather,it was stopped raining the minute we arrived.I did an all black look.The shoes give the pop of color to the outfit and they are the best option when traveling in the hills. 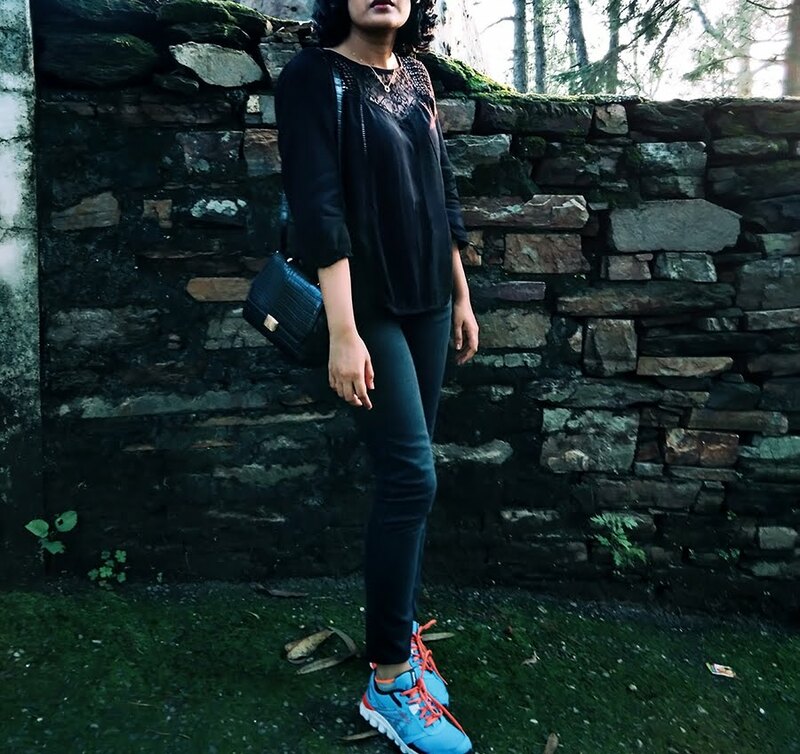 I know this an awkward pose but I loved how the light fall on my face.I think it was the golden hour time when we took this photos while hiking.The best way to discover the town is by foot.Its is best feeling to be surrounded by nature.